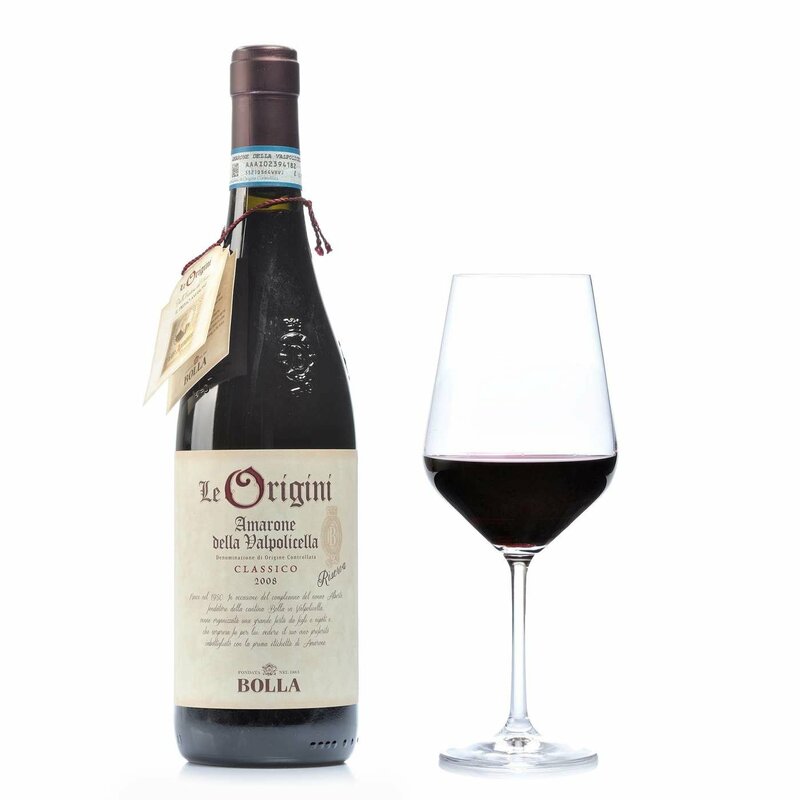 The Amarone Le Origini Bolla is made with selected ripe Corvina, Corvinone and Rondinella grapes. With its rich velvety garnet colouration flecked with purplish glimmers, on the nose this vine unfolds sensations of wild cherry, jam, ripe pears, vanilla, liquorice and cedarwood. Warmly full-bodied, on the palate it awakens cocoa and spicy notes. Amarone Bolla is matured for one year in smallish barrels, followed by 3 years in large barrels, and finally nine months in the bottle. Magnificent with grilled red meat, rib steak, pepper fillet, game and mature cheese. Or simply to be sipped and savoured after meals. 125 years of experience, four generations, the immense wine-making heritage of the Veneto region: these constitute the essential strengths of Bolla, a company whose ultra-refined products are esteemed around the world. Authentic wines created under the supervision of the oenologist Christian Scrinzi, currently dedicating his talent to consolidating and promoting the quality of Bolla products. Bolla's history is bound up with that of Amarone, since it was the first wine-maker to really commercially launch this wine, today a symbol of quality throughout the world.